Do you subscribe to the MommyMaestra newsletter? If you do, be on the lookout for this month's issue. There's a free download of these fun, bilingual bookmarks available just for you! You can sign up at the bottom of my shop page, or just wait for the pop up when you click on this link. Also, did you know that TpT is having another sitewide sale? EVERYTHING in my TpT shop is discounted 25%! Just use the promo code: xoxo when you checkout. 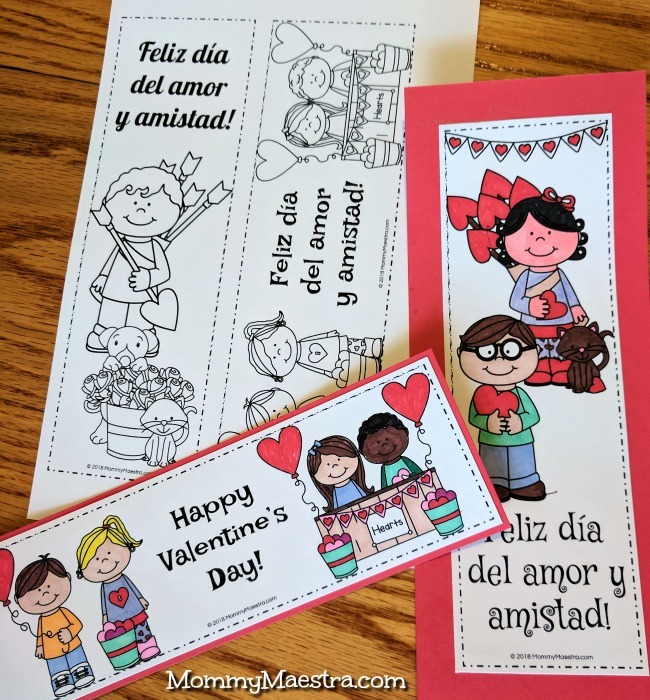 I just made a purchase via TPT for the Bilingual Valentine's books you are offering. However, I do not see a link for the FREE Valentine's bookmarks. You can please direct me to the link? I would like to down load it and print out today, if possible. Gracias for your time and attention. I do not see the link for the FREE Valentine's day bookmark either. It sends me to your store, I browsed and cannot find. Please advise. Thanks! The free Valentine's Day bookmarks are only for my newsletter subscribers. If you scroll down to the bottom of my store's home page, you'll find the newsletter sign up button. Thanks!